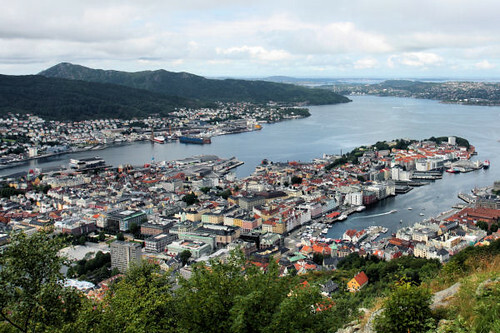 Bergen was one of the first places we visited in Norway, a beautiful city with a wonderful fish market that I want to share with you. 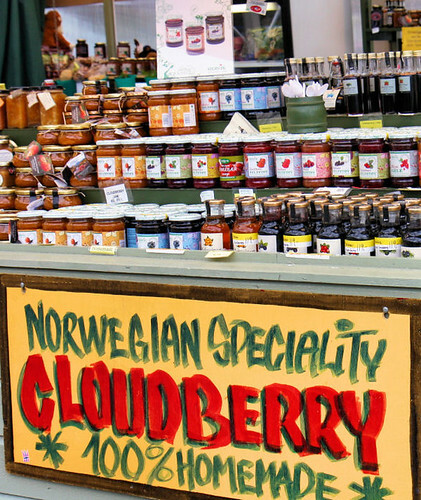 Some cloudberry jam for me - it is forbidden by law to pick unripe cloudberries in Norway! Norway looks so beautiful, what a nice trip you had. 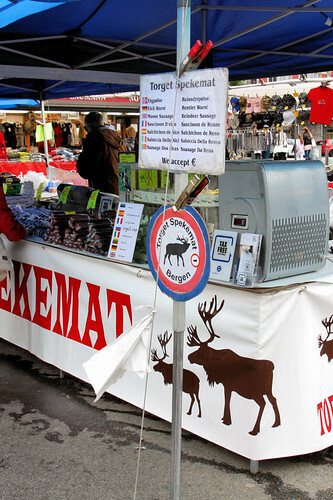 I'd love to visit this market, lots of goodies there! 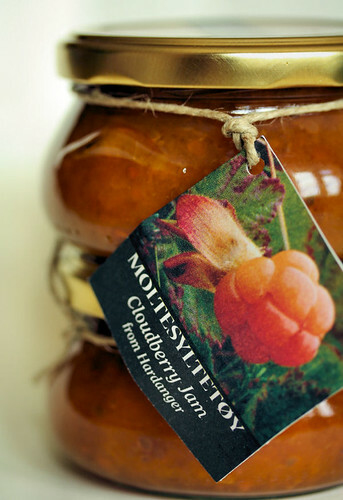 I love cloudberry jam! Cloudberry jam + marmite/vegemite + cream cheese in sandwich, yum yum yum! Cloudberry jam on top of vanilla ice-cream, scrumptious! Will the Norwegian laugh at me if they know I enjoy cloudberry this way? LOL. I'm glad you posted more photos from your trip in Norway ! And farmers market reflects so well local traditions. I love looking at other peoples vacation pictures, what a wonderful place to be. Enjoy your vacation and come back with some recipes pleeeease! LOL!! Looks like you are having a great time! Thanks for sharing it with us. 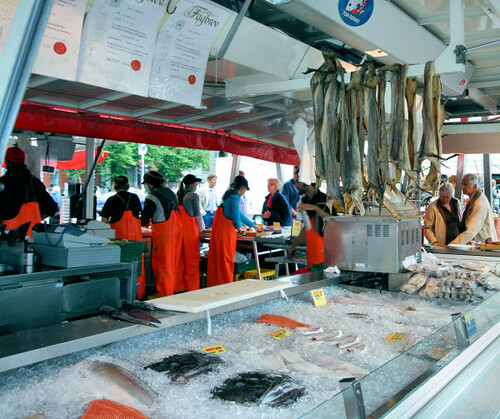 Wow, the fish market looks AMAZING! 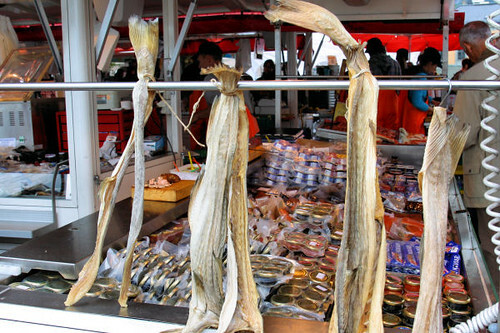 A fish lovers paradise, my mouth is watering! Also, Norway looks just lovely. Such gorgeous pictures of Norway! Now I'm so inspired to make a trip there someday. Beautiful architecture & a lovely fish market. I am not too'fishy' a person, but I still LOVE it Nic. 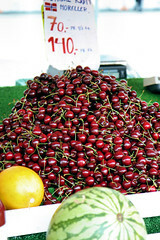 Love the fresh fruit too, and the jam stalls. Thanks for including the picture of a cloudberry on the tag.Else, I would have spent many an hour googling to take a look at it! LOL about the illegal unripe berry picking!Too funny! Great pictures Nic! Norway does look good. Love the market. Oh boy. I am going to HAVE to go to this! Norway was on my list anyway, but now even more so! Funnily enough, I've just posted about the merits of squid. Obviously a day for thinking fishy thoughts! I feel like I am with you Nic in Norway. 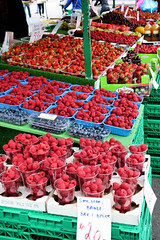 It all looks so beautiful :0) The market looks amazing to go round and buy fresh produce - enjoy - enjoy! Now you make me want to go to the market and cook! Thanks for sharing these inspiring images. I have had cloudberries in Newfoundland which they call bakeapples there. As always Norway looks like a stunning place to visit!! Beautiful blog! I visited Norway as a teenager and your wonderful photos bring back memories. What a wonderful place. Enjoy the rest of your vacation. okay you are going to have to educate little ole tropical girl here about cloudberries and why it is forbidden by law to pick them? This is the first time I am hearing of this fruit. What a wonderful market! From fruits to caviar, everything looks amazing! 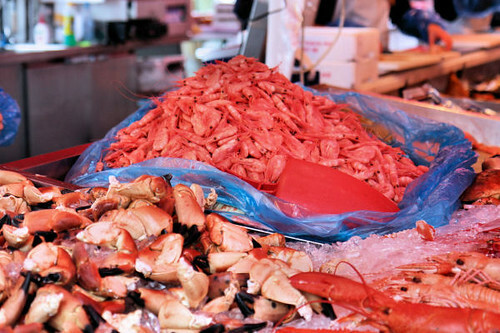 But I have to admit, I would've been perfectly happy just rolling around in that mountain of fresh crab and lobster. Great pix, esp the cherry mountain mmm! And Kenny, the Norwegians probably won't laugh at you, but I will LOL! Welcome Bella and Jane! Thanks for visiting. 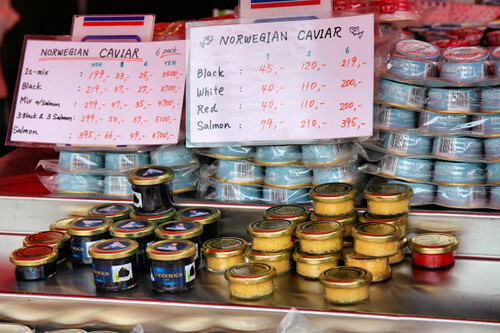 Marysol - we just bought some of the jam, and had already eaten so didn't try any of the fish plates. Crab claws!!! How I wish I could get crab claws cheap here in Southern CA. They are expensive. I loooove crab claws, yummy! How wonderful! 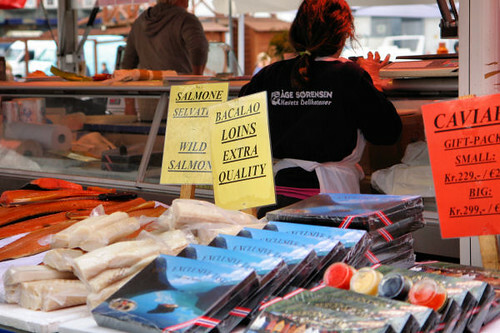 I was at the Bergen fish market a little over a year ago, and I wish I had taken photos while going through. Thanks for sharing! Next time I visit Norway (or hopefully before) I hope to taste cloudberries; I hear they have a delightful, dessert-like flavor. 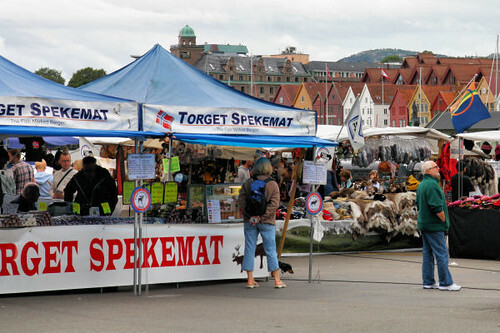 Wow, I was there on July 19 and took photos of many of the exact same stalls and also put them on Flickr..weird! I loved everything about the market apart from perhaps the whale burgers. Rasa Malaysia - I think they were quite expensive in Norway too! outsideoslo - thank you! I haven't tried my jam that I bought yet, hope it's good. Sjane - that is weird! Great photo's you've got on Flickr! The jam pic looks really delicious. I have never eaten cloudberries, is it sweet fruit?